He’s at it again. Having promised us space tourism, and trains that run on time, the relentlessly optimistic Sir Richard Branson is now pledging to bring us another revolutionary form of travel: the Hyperloop One. In these futuristic pods – the brainchild of Tesla billionaire Elon Musk – passengers will hurtle through low-pressure tubes at speeds of up to 670mph. With Branson now in the driving seat, the plan is to launch the Virgin Hyperloop One in 2021. This hyperloop would connect Heathrow, Gatwick and Stansted, enabling passengers to travel between the airports in as little as five minutes, seven to Stansted: no need for a third runway. Another connecting London to Edinburgh would cut the four-and-a-half hour train journey to a mere 45 minutes. It sounds incredible. Travelling 100mph faster than a cruising Boeing 747, we will whip across counties in minutes. No need for torturous journeys by bus, train and tube to make – or miss – a plane connection. No more sweating and swearing on the M25. Greater London becomes an invisible irrelevance. Yet for all the time it saves, the Hyperloop will rob us of something too. High-speed travel may be efficient but it is deeply unromantic. Entering a metal tube in one place and emerging a short while later in another, where the climate, culture and landscape are entirely different is, as any long-haul air travellers knows, discombobulating and jarring. In a normal train you can observe the scenery unfurl outside, the city fraying at the edges, the gaps between houses growing larger, until they become countryside. You observe the details that delineate county boundaries: redbrick and golf courses give way to brick-and-flint and fields, then to stone thatches and sheep. Your window becomes a gallery of Turner and Constable paintings flashing by. None of this will you witness as you hurtle in a pod, like a receipt whizzing through those pneumatic messaging tubes used by old-fashioned stores. You will enter it in the Home Counties and minutes later arrive in East Anglia. Imagine the culture shock! Or exchange London for Edinburgh in under an hour, missing out on hundreds of miles of breathtaking scenery. For what? To arrive feeling desiccated, exhausted, disoriented, if air travel is anything to go by. Our bodies were built for slower speeds. A century ago, even a ten-mile journey was an event. Neighbours sat beside each other in carts, or walked and talked on their way to market. Now that we travel more speedily we gain time but lose much else. Travelling on foot you get to know every nuance of the landscape and seasons: pregnant ewes and crocuses clustering herald spring. On buses and trains you get to know people on your route. As we spend our working days in airless offices, our leisure time in virtual worlds, even shared meals glued to our phones, staying in touch with the real world feels increasingly important. Some people have woken up to this and choose to walk for an hour rather than spend twenty minutes on the Tube. A friend’s father eschews air travel and travels by container ship: it’s cheap, sedate and he experiences several cultures and climates en route. Cruises are popular for similar reasons. Pods may sound like progress but I, for one, hope that they don’t take off. 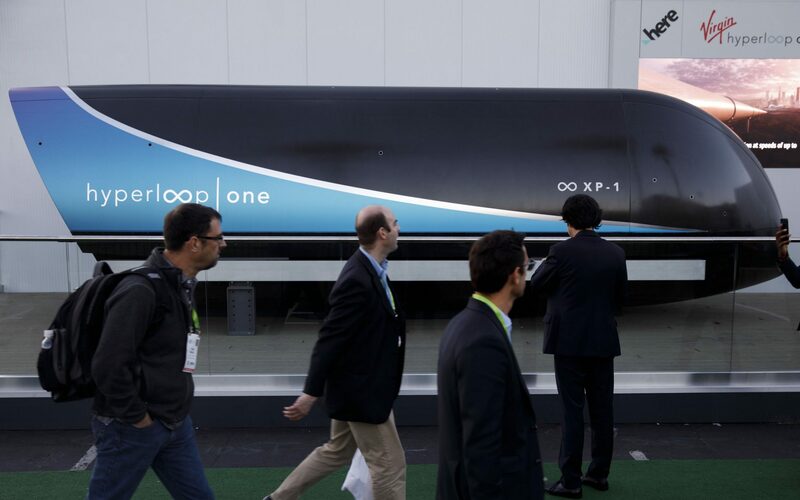 This entry was posted in Documentation and tagged England, Germany, Hyperloop. Bookmark the permalink.